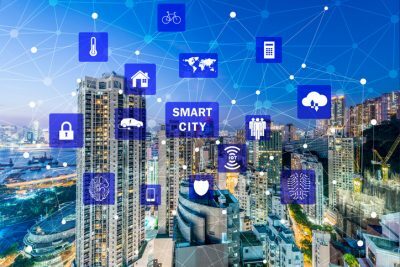 "Smart City": What Will Sensor Network Give to Denver? DENVER, Colorado — One Million dollars will be given to Denver from Bloomberg Philanthropies to fund a network of an air-quality sensor at local schools. Due to city officials, “Smart City” technology is expected to scale higher than any other US city has ever attempted. On Monday morning, the city is announced as one of the 9 winners of the US Mayors Challenge. The city’s low-income neighborhoods suffer from industrial infrastructure and the technology can help manage the health consequences, according to Mayor Michael Hancock. How can the new technology help? Currently, over 6 permanent air sensors are being operated within Denver, which issue ozone alerts and warnings. With the given money, the city is planning to make a web from 40 solar-powered, wireless devices will give more specific information. The program is underway, funded by $100,000 from an earlier phase of the competition. The devices are about the size of just a shoe box and which will not even take a big space. Eleven have been set up at different schools. The device measures the density of particles in the air (dust or smog), humidity and temperature. It includes software to combine the air-quality data with other information from different sources. In addition, the granted money will pay for a sensor-related STEM curriculum and other school programs. Fort Collins also won $1 million from the Mayor Challenge with a proposal to fund energy-efficient upgrades for low-income rental housing. Other winners are from Los Angeles, Philadelphia and other cities. There is no current information about the locations of the devices, but they will be based in part on health and socioeconomic considerations.